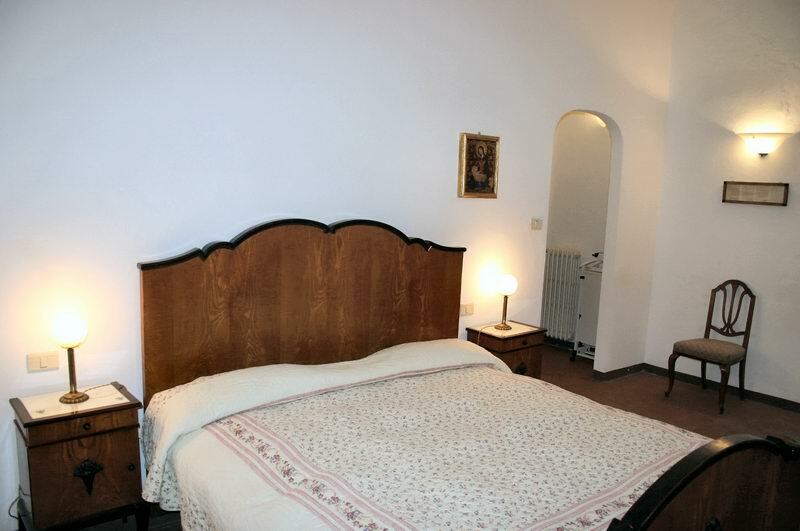 In all there are 6 apartments of different size (2-6 beds) , and 6 double rooms with bathroom, and one detached house (1907 - "Fontesole") of 180 sq on two floors. 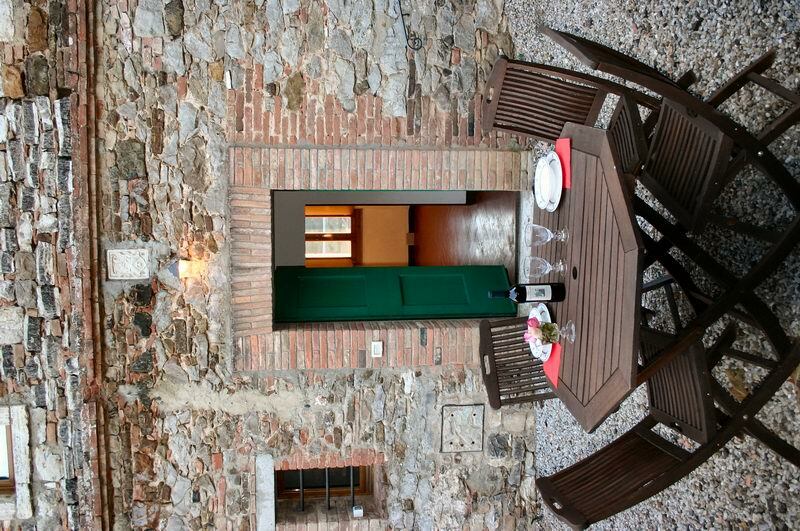 Close to the apartments and to the garden, at the end of olive-grove, there is a private swimming pool and the barbecue. 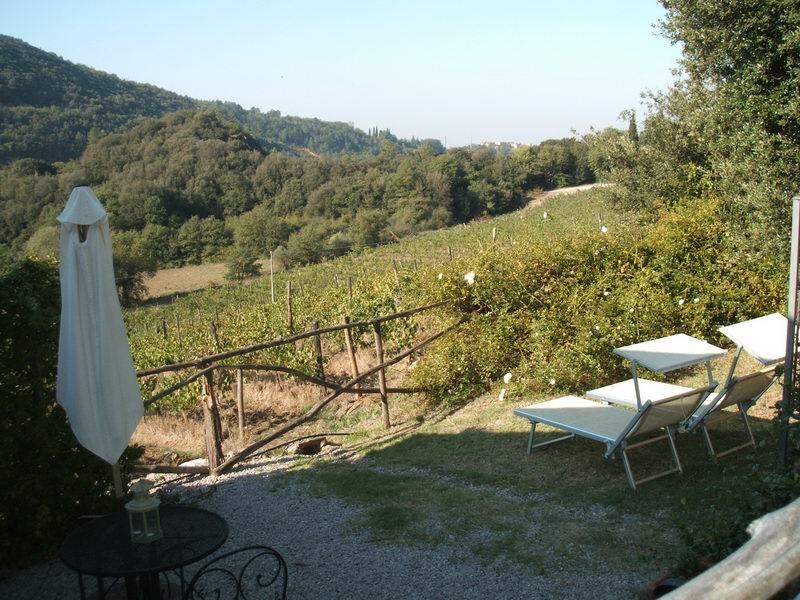 Despite its quiet position the Villa is not far from the road Siena-Perugia so it is possible for the guests to reach the most important turistic destinations very easily. 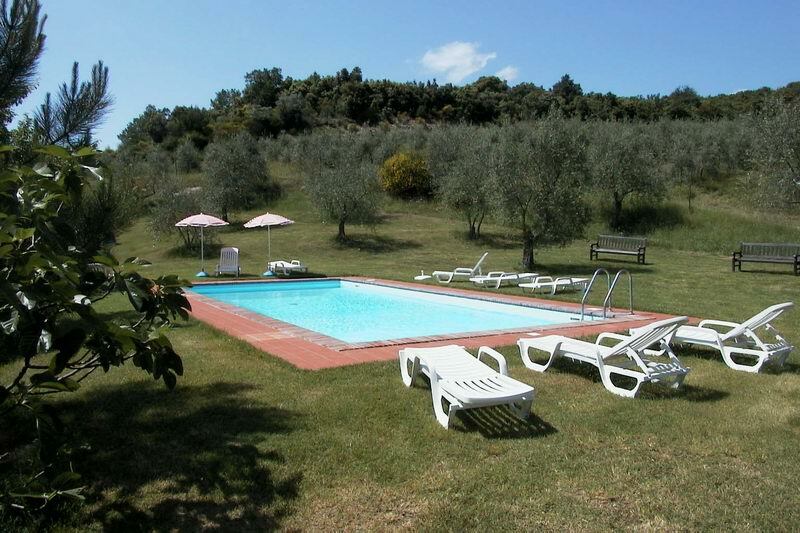 Another pleasant surprise in Rapolano are the local thermal bath “Antica Querciolaia”. Two plesant thermal swimming pools in the open, with a very relaxing hot thermal water and many beauty or health treatments. Ap. nr. 1901 “Colombaia” - First floor. Double bedroom, kiving room with cooking area, bathroom. Antique furniture. Ap. nr. 1902 “Giotto” - On two floors. 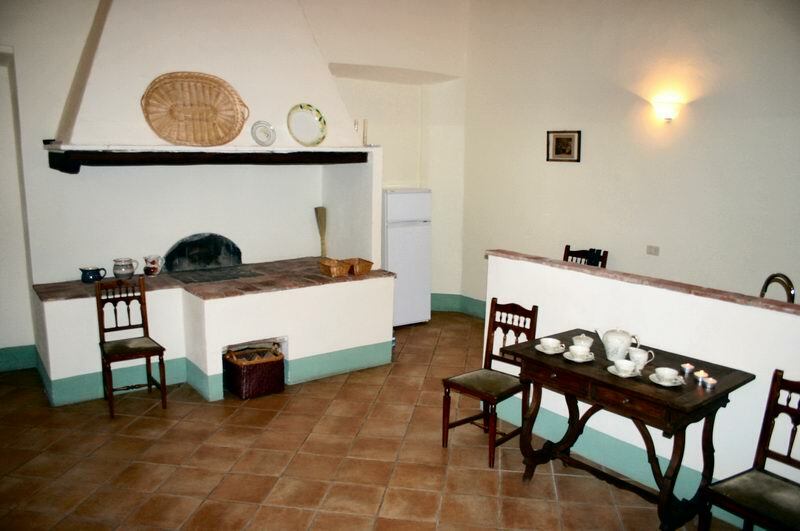 Ground floor: living room, kitchen, little bathroom. First floor: 2 double bedrooms, guarderobe, bathroom. Antique furniture. Ap. nr. 1903 “Vinsantaia” - Ground floor. 2 double bedrooms, living room with cooking area, bathroom, salon on the gallery. Ap. nr. 1904 “Limonaia” - Ground floor. 2 double bedrooms, living room with cooking area, bathroom. Ap. nr. 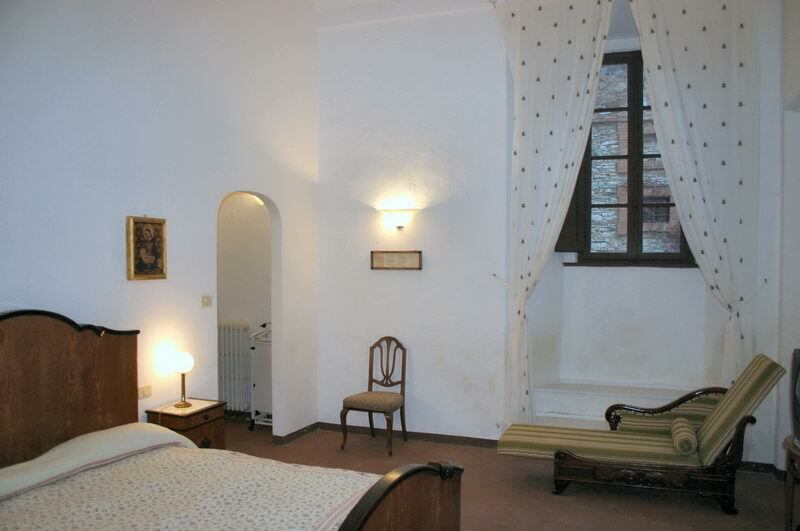 1905 “Casina Buoninsegna” - Ground floor. 3 double bedrooms, 3 bathrooms, large living room with cooking area. Ap. nr. 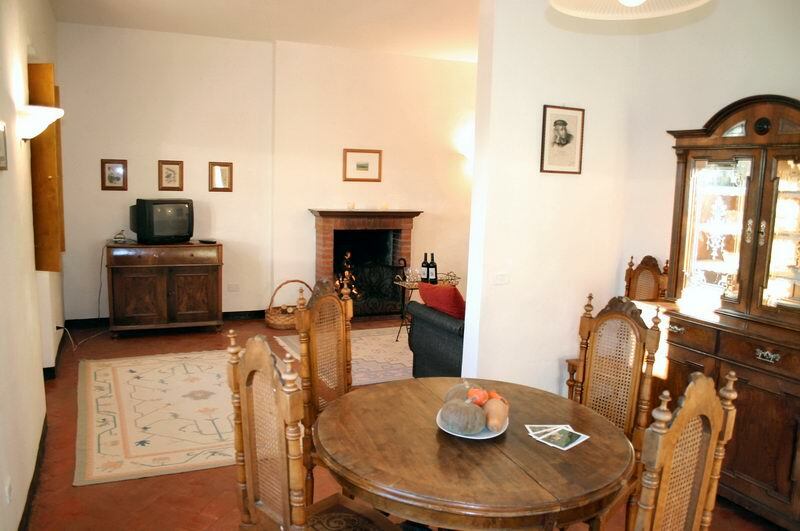 1906 “Le casce” - Ground floor, 1 double bedroom, 1 bathroom, living room/kitchenette, large terrace. 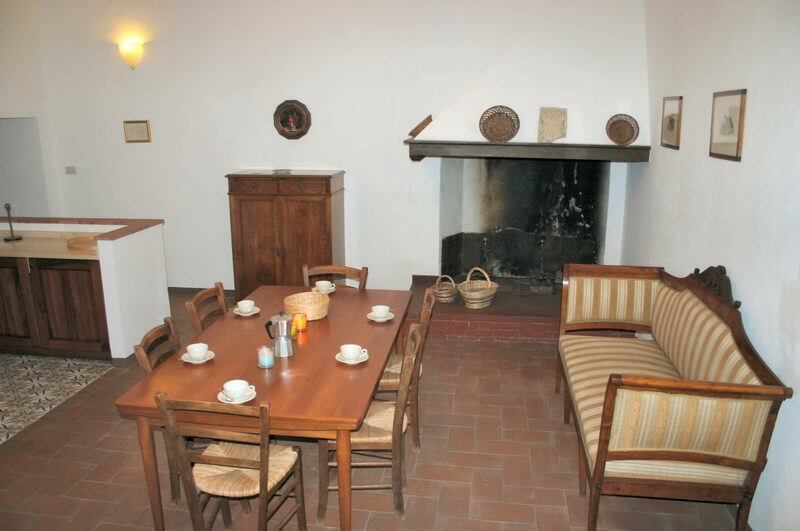 1907 "Fontesole" , detached house - on two floors. 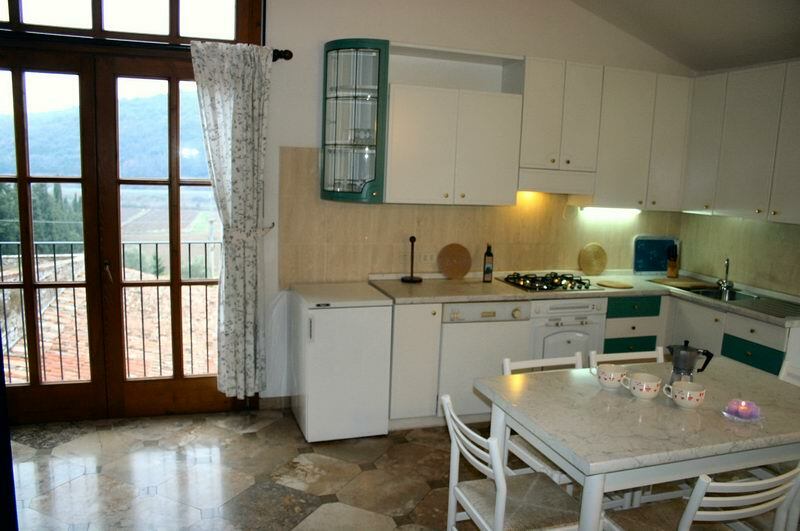 Ground floor: kitchen, dining room, 1 double bedroom with sofa bed, bathroom. First floor: 2 double bedrooms, each with private bathroom, 1 twin bedroom with private bathroom, a large study. Large privat outdoor courtlyard fenced with gate and equipped with tables, chairs, barbecue. From the North: motorway A1 (Bologna-Firenze-Roma), exit Firenze Certosa, continue in the direction of Siena (highway Firenze-Siena), after Siena continue in the direction of Arezzo-Perugia (highway Siena-Bettolle), exit “Poggio Santa Cecilia”, follow the last indications to the farm.